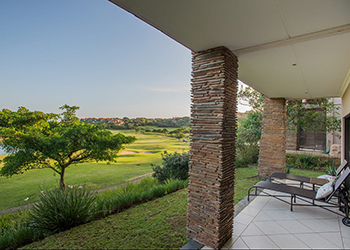 Budget King Shaka Airport Accommodation – Browse Online For Your Family Holiday Accommodation in King Shaka Airport. 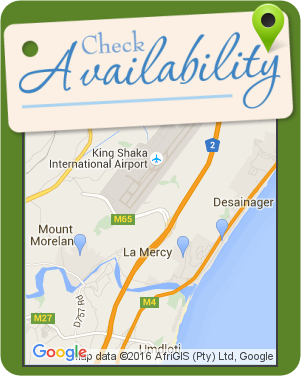 We Have Listings For Bed & Breakfast, Self Catering And Cheap Family Holiday Accommodation In King Shaka Airport. 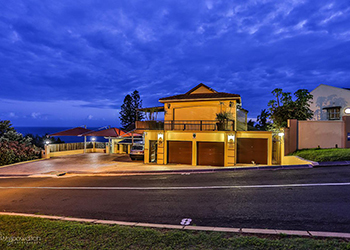 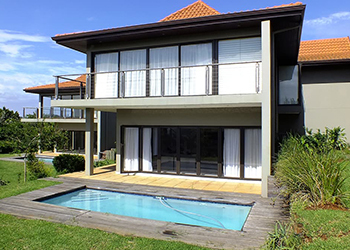 8 The Corals offers comfortable self-catering accommodation in a lovely 4-bedroom home situated in the Zimbali Coastal Estate, approximately a 10 minute drive from Ballito. 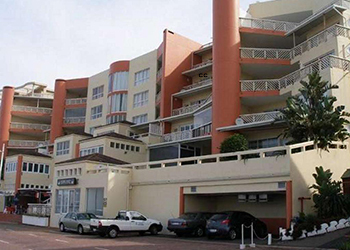 504 Coral Reef offers comfortable self-catering accommodation in a 3-bedroom apartment situated within a beachfront complex in La Mercy. 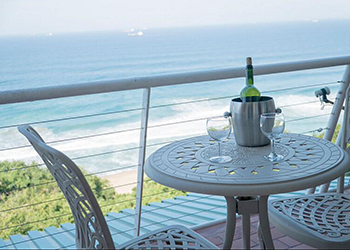 6 km from King Shaka Int Airport (as the crow flies) Fairlight’s prime location, luxurious accommodation, and breathtaking sea views have earned its reputation as being the ultimate bed and breakfast on the North Coast of South Africa’s KwaZulu-Natal. 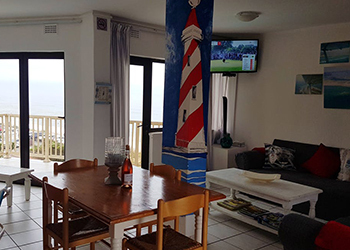 6 km from King Shaka Int Airport (as the crow flies) Sorgente 304 is a fully furnished and equipped self-catering apartment, located in the secure Sorgente complex in Umdloti, overlooking the popular Umdloti Tidal Pool. 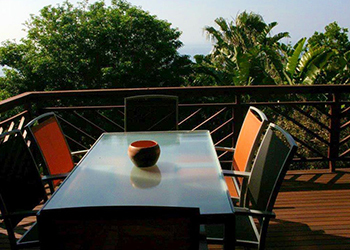 Casa Catherine Brauns is situated in the heart of Zimbali and offers quality accommodation for your next vacation. 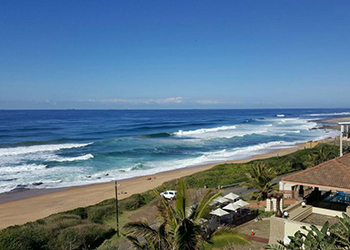 Here you can see schools of dolphins frolicking in the waves and even sharks lazily cruising by. 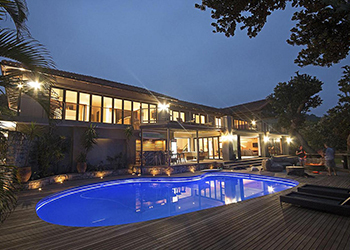 Luxurious Sanctuary is a newly furnished self-catering unit located in the secure Zimbali Coastal Eco Estate. 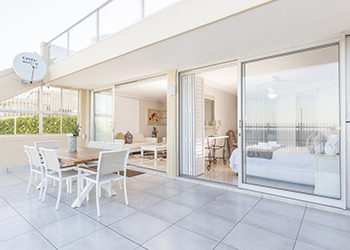 This unit has travertine tile floors throughout and a fresh colour palette to both calm and stimulate your senses. 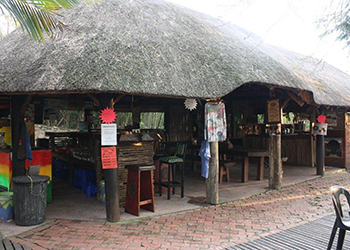 5 km from King Shaka Int Airport (as the crow flies) We are a family owned and run Guest House 5km from King Shaka International Airport. 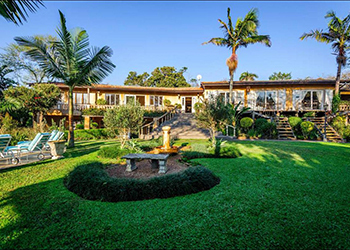 We have a large tropical garden with 8 en-suite bedrooms. 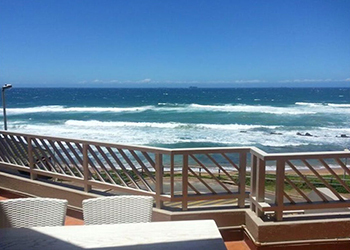 Situated in Tongaat, 31 Blue Largo is a spacious, modern apartment in a security complex at the beach and can accommodate 4 people. 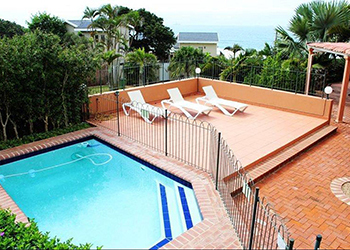 305 Manor Gardens is a self-catering apartment overlooking Ballito's main surfing and bathing beach. 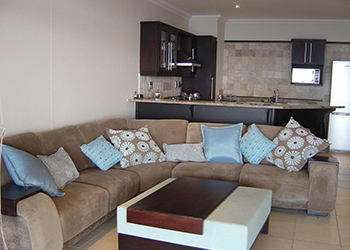 The three bedrooms can sleep up to six people. 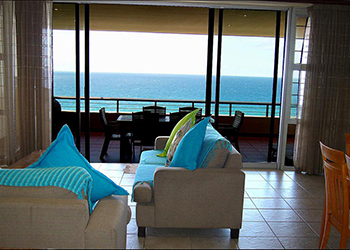 Ocean View offers comfortable self-catering accommodation in a 3-bedroom apartment with sea views. 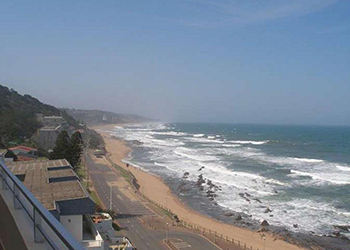 The apartment is situated within a complex opposite Westbrook Beach. 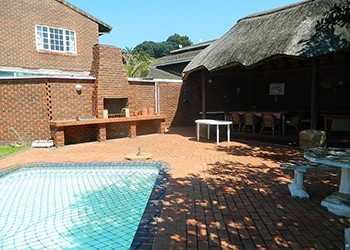 7 km from King Shaka Int Airport (as the crow flies) Upmarket holiday home, full sea view with 6 bedrooms all en-suite, air-conditioning, sleeps 12 adults. 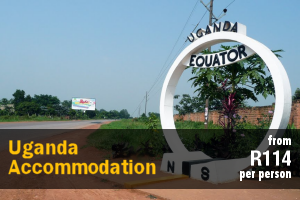 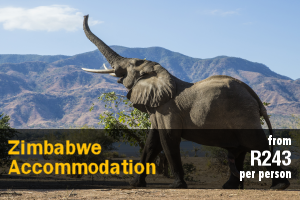 Suitable for private family holidays or corporate accommodation. 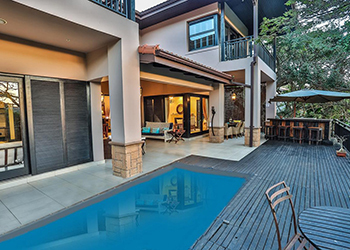 10 Silverleaf, Zimbali is tastefully decorated, self-catering holiday house located in the secure estate of Zimbali. 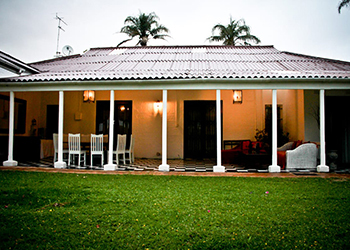 This stylish 4-bedroom, 4-bathroom private villa can accommodate up to 8 guests. 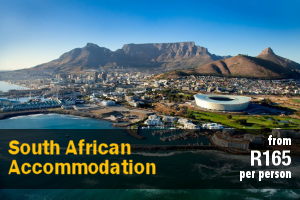 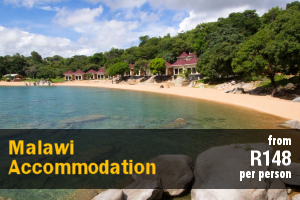 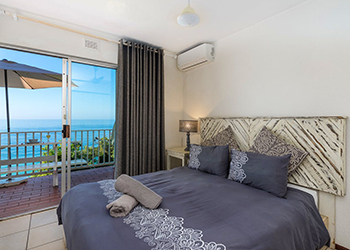 Pearl of OysterBay offers comfortable self-catering accommodation in a tastefully furnished 3-bedroom apartment situated within a secure complex on Westbrook beach front. 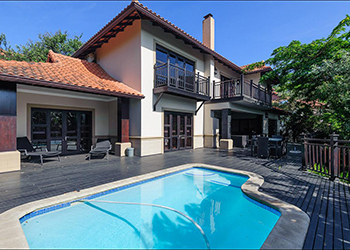 15 Forestwood Drive, Zimbali is a stunning, self-catering holiday house situated in Zimbali Coastal Golf Estate. 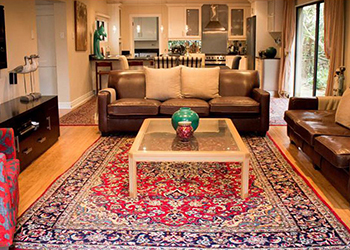 This house features a full time housekeeper if required and many other amenities. 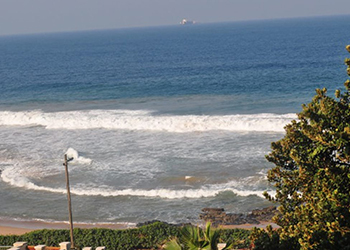 Situated in Ballito on the pristine Dolphin Coast of KwaZulu-Natal, is where you will find Villa Jaime. 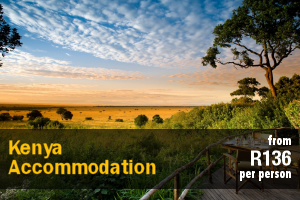 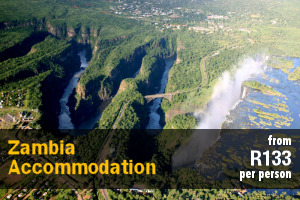 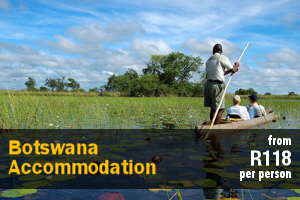 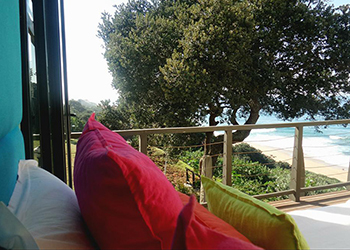 This venue, with a variety of self catering units, is within an area that locals have dubbed nature's playground. 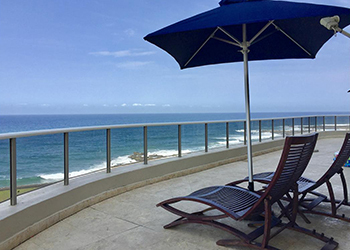 3 Driftwood is an upmarket, ground-floor, self-catering apartment, located in a popular and secure complex on the Ballito beachfront. 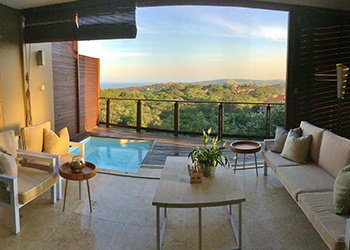 7 km from King Shaka Int Airport (as the crow flies) Cockleshell 6 is a free-standing beachfront home set in a private complex metres from the beach. 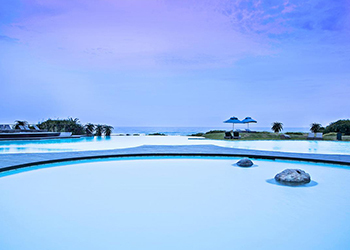 It has it's own swimming pool. 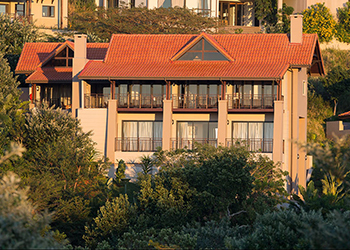 A supreme luxury penthouse in one of Zimbali’s most sought after developments. 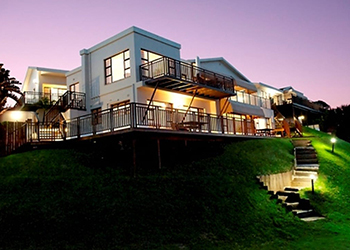 Situated at the Valley of the Pools. 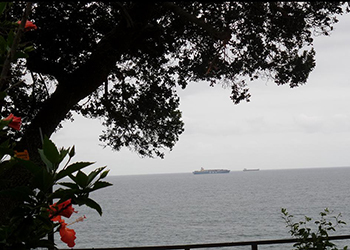 Boasting panoramic ocean, lake, forest views... this private coastal property available to rent is simply one of a kind. 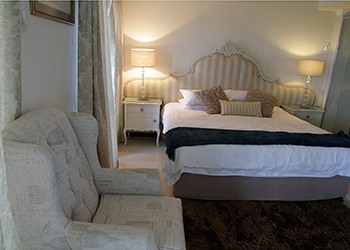 Petite Provence B&B is situated in Salt Rock, Ballito a mere 30 minutes drive from Umhlanga. 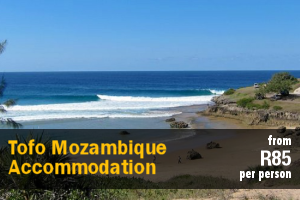 Guests can enjoy the unique French styled accommodation that is located 300 m from the main beach in Salt Rock. 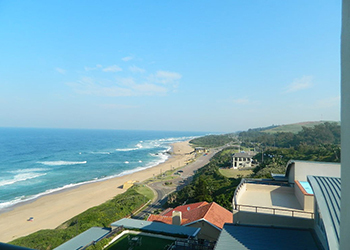 6 km from King Shaka Int Airport (as the crow flies) This luxury penthouse is situated right on the beachfront in the secure La Pirogue complex, Westbrook on the North Coast of KwaZulu-Natal, between Umhlanga Rocks and Ballito. 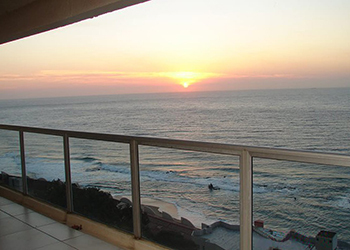 This modern apartment offers beautiful panoramic views and is situated on the beachfront in the secure Sunrise Beach complex, at Westbrook on the North Coast of KwaZulu-Natal, between Umhlanga Rocks and Ballito.